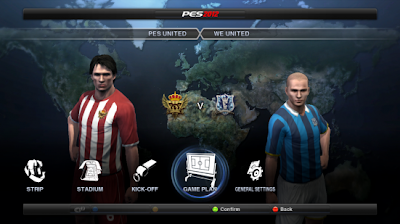 With the recent release of the 1.02 patch, Konami have posted up a workaround for people experiencing problems on the game plan screen on PES 2012. * When loading the Formation Data in Game Plan, please delete the old Formation Data and save the current one in its place. This will stop the game from freezing. * Please make sure that the Formation Data is only used for the team you created it for. If you try loading Formation Data created for another thing, this may cause the game to freeze. We will keep you informed on any advancements or potential fixes. Of course, this is only a small issue, which is only affecting a minority of the PES 2012 community. For us, the 1.02 patch has been a great success, so please download it as soon as you can and give it a go!